Once pronounced dead after the global economic slowdown of 2008-2009, consultants and developers now say Dubai’s off-plan property market is alive – and kicking – in 2017. Buying off-plan property refers to purchasing property in advance of its completion. In Dubai, the practice was rife until 2009, when a property price slide resulted in a sudden and complete disappearance of the off-plan buyer. 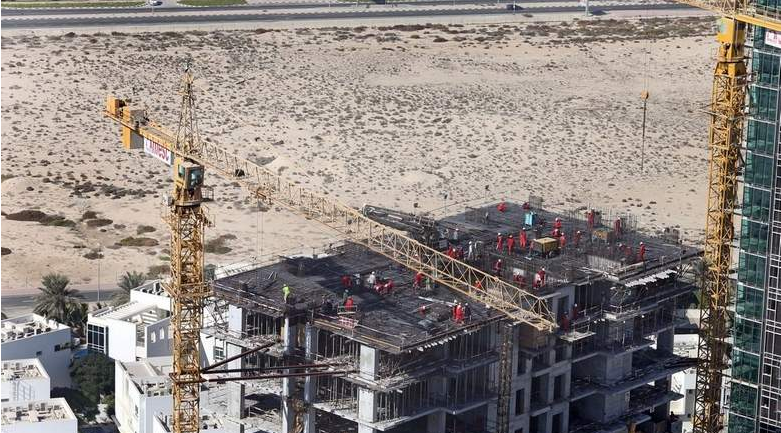 Dubai master developer Emaar is credited for jumpstarting the off-plan market once again with the launch of its ‘Mira’ villa project on Al Qudra Road in April 2013. The first phase of those villas, launched at an invitation price of Dh988,888, have now been delivered, and some of them are being resold at twice that price, lending a big boost to the general off-plan market. Since 2013, the off-plan market is in recovery mode, with almost all major developers in Dubai launching projects with generous post-handover payment plans in 2016. The general thumb-rule now is that, if you have a reasonable amount of money in savings and the appetite to test the waters of the Dubai real estate market, then off-plan property by a reputed developer is your best bet. In fact, there are some rather attractive post-paid payment plans available today, such as 20 per cent initial payment and the balance on handover. Payment plans are also being offered based on construction progress, usually in 10 per cent installments. So, what’s stopping a rush for off-plan? In 2008-2009, a lot of speculators had entered the market with a view to ‘flipping’ properties and making a quick buck at the expense of the end-user. Generally, they would put down a 10 per cent deposit and resell the property at a premium before its delivery, making a good 200 to 300 per cent gain on their initial investment. This, however, would make properties expensive for the end-user. Now, however, the UAE Central Bank’s rule allows only 50 per cent loan-to-value ratio for off-plan property mortgages, leaving only serious players in the market. These curbs were imposed by the Central Bank to cool speculative buying after Dubai property prices experienced a second wave of inflation in late 2013 and 2014. However, at the same time, some of the genuine end-users who do not have 50 per cent ready cash to make an off-plan purchase face difficulties. “The higher down payment requirements on off-plan properties make it difficult for end-users to purchase units,” admits Carol Monis, head of mortgages, MortgageME.ae. In such a scenario, property developers have come to investors’ rescue to help kick-start buying in this market segment. “A lot of developers are now coming up with 30:70 payment plans, i.e., 30 per cent down payment and 70 per cent on completion. This makes it much easier for end-users to get mortgages as completed projects get up to 75 per cent financing,” says Monis. For those planning an off-plan purchase, one of the primary things to keep in mind is that UAE banks do not lend to all off-plan projects. Much hinges on the developer’s credentials and the project’s stage of completion. “Banks offer financing only after the first 50 per cent of the payments have been completed by the buyer,” adds Monis. Developers need to register with the bank in order to facilitate mortgages but this is often not until at least 50 per cent of the project is complete. “Banks are lending to some master-developers’ off-plan projects. A few examples that offer mortgages are Akoya by Damac, Onyx by Ishraqah and Emaar’s off-plan projects,” says David Godchaux, CEO of Core Savills. Opting between a completed or off-plan property finally boils down to an individual’s financial situation and what is the right fit for their requirement. “The advantage with off-plan is that buyers get time to plan finances if they don’t want to take loans to make a purchase. The advantage with ready property is that the most of them are in matured communities and are readily available to use, without the waiting time for off-plan properties, which is a huge saving on the rent one has to pay for the wait,” explains Ranjeet Chavan, CEO of SPF Realty. Off-plan properties generally tend to be priced lower than ready properties, with developers showing flexibility in their launch prices. Emerging communities may see a bigger gap between ready and off-plan prices as compared to established communities. “In the initial launch phase, attractive prices can be secured by up to 30 per cent below market value in comparison to completed properties. Bulk transactions usually see between 10 to 15 per cent reduction from advertised pricing and if they are looking to buy a full building or development, this can be discounted further,” adds Core’s Godchaux. While off-plan sales are now running almost neck and neck with transactions of ready properties, with the softening of prices last year and the preponderance of end-users in the market, there has been a shift in demand for completed homes. “As prices continued to drop for ready properties last year, there has been a shift in buyers opting for those types of properties,” says Dima Isshak, head of research and advisory, UAE valuations and advisory, Chestertons. “Due to higher down payment requirement and less off-plan mortgage products offered by banks, we see a bigger share of home loans for completed properties. A lot of buyers in the market currently are end-users and they go for completed properties,” says Monis. Supporting this trend, a recent Reidin report states that the bulk of off-plan sales in Dubai are cash-led. “In the ready [property] space, mortgage-based transactions continue to show a steady increase. In the off-plan space, transactions will remain predominantly skewed towards cash,” the report adds. Established communities have witnessed more transactions than developing communities. “We are seeing more resales in developed communities – Emirates Living and Dubai Marina were the areas with the highest transactions in 2016, despite limited new supply which clearly indicates higher resale activity. Developing communities have not yet reached a complete real estate cycle and given the softening prices in 2016, landlords may have had to sell at below premium prices,” observes Godchaux.